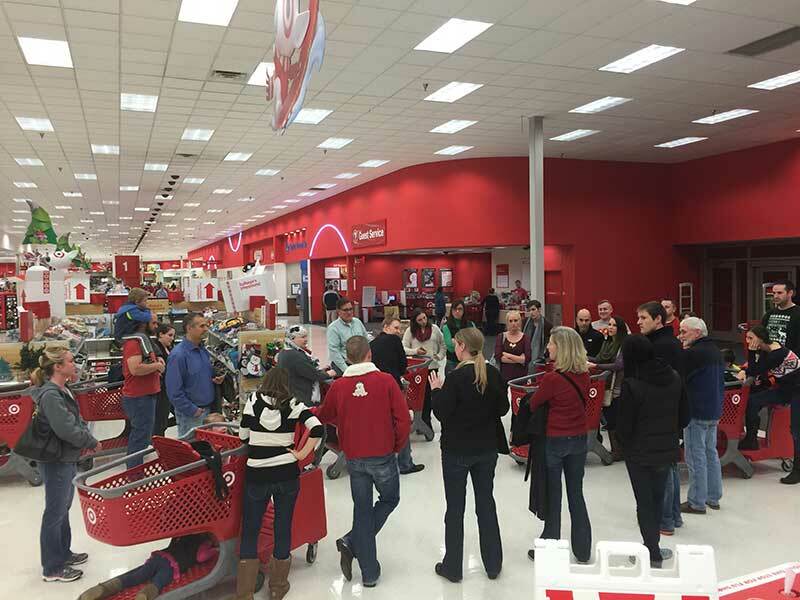 KVC Holiday Heroes – Shopping and Wrapping! 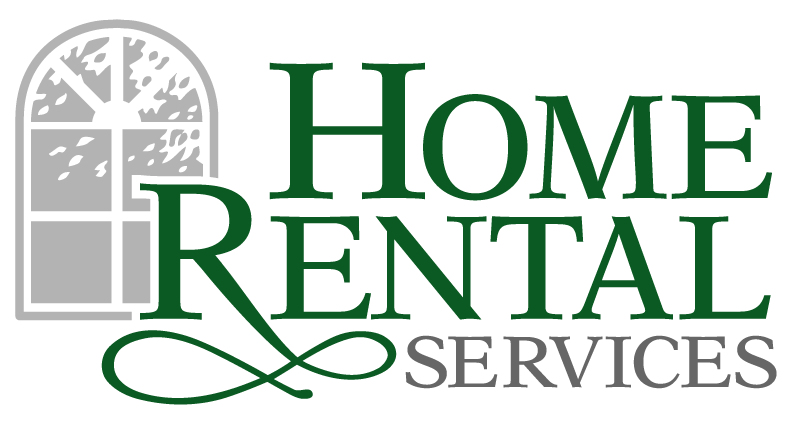 « Home Rental Services, Inc.
KVC Holiday Heroes – Shopping and Wrapping! 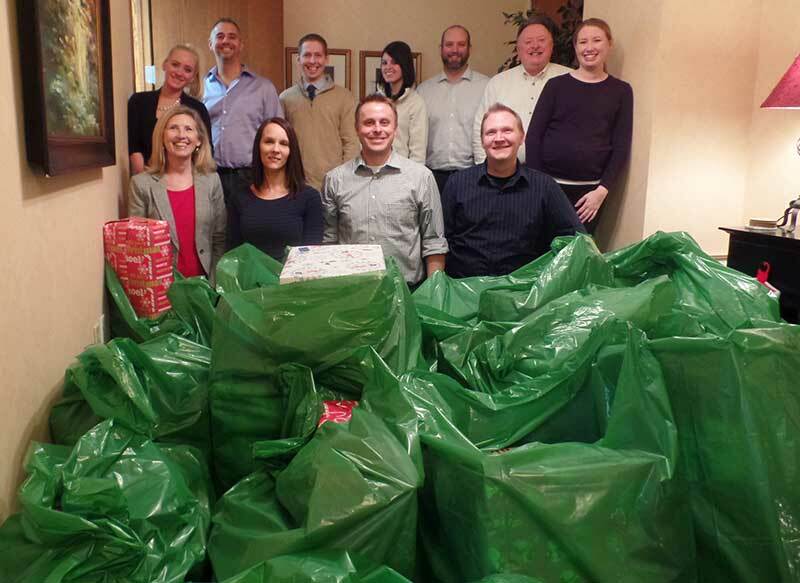 For many years now, we’ve partnered with KVC Health Systems and participated in their Holiday Heroes program. This program supports kids living in foster care that might not otherwise get presents during the holidays. KVC had 625 children that they needed to find Holiday Heroes for this year. 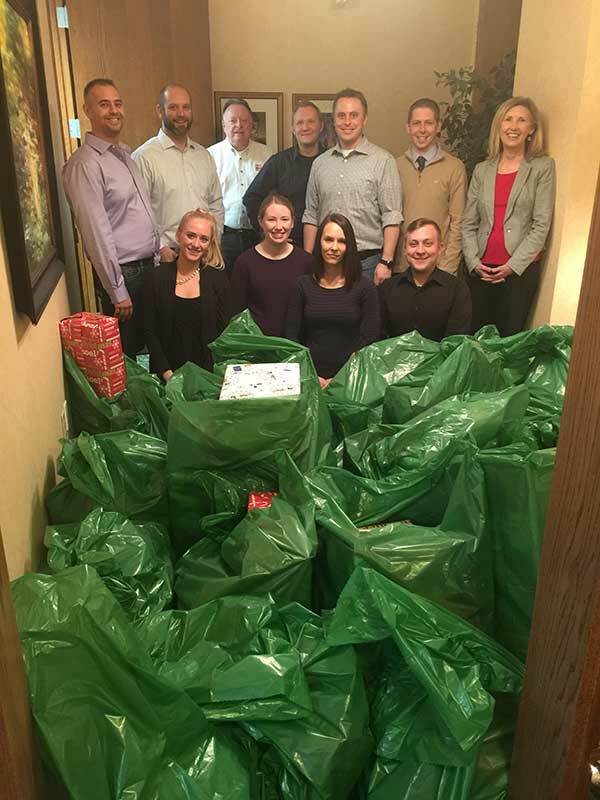 As a company, we were able to help 25 of those kids! 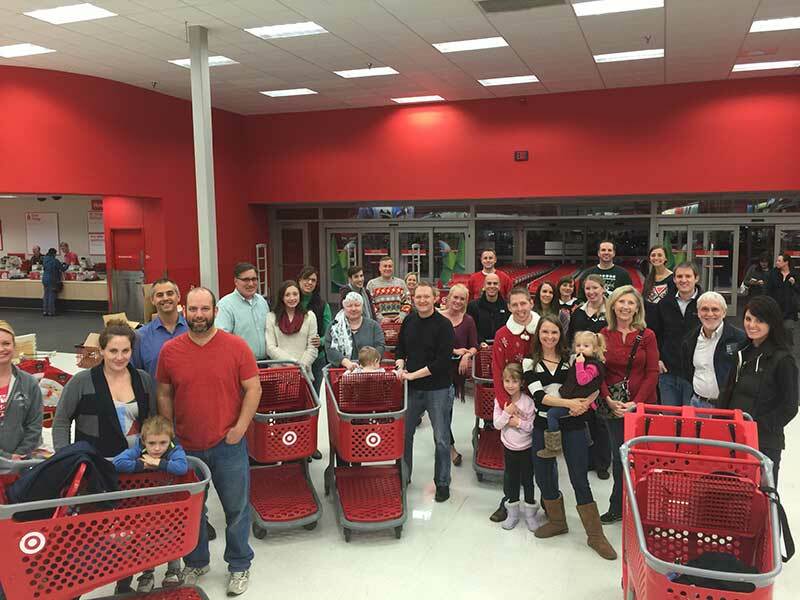 Our tradition is to meet at Target at 5:30pm to shop for the kids. Our team and their families participate. With so many kids, we figured out a few years ago that things go more smoothly when we’re organized. Every child has a card with their name, age and things they would like for Christmas. We keep each card with an envelope and bags so that when checking out, we can keep the gift receipts and gifts together for each child. We break up into teams with 2-3 kids per team. About two hours later, we’re checked out and hungry (it’s 7:30pm!). Kandy takes the entire team to dinner to rest and recharge. The next step is to wrap all of the presents. We usually pick a Friday (or two!) and spend the morning wrapping packages together. It’s a labor of love to get dozens of presents wrapped and organized for delivery to the kids. It’s an amazing feeling to know you are helping a child during the holidays. Especially a child that’s had his or her life disrupted and is living in foster care. It’s still early December. If you’ve read this story and wonder what you could do to help, contacting KVC might be a good place to start! 2014 – KVC Wrapping Party! 2013 – Making Sure 18 Kids Have a Merry Christmas! 2012 – Ready for the Holidays? 2011 – Making Sure Ten Kids Have a Merry Christmas! KVC Health Systems is a not-for-profit organization headquartered in Kansas City that provides medical and behavioral healthcare, social services, and education to children. In its 45-year history, KVC has grown from a home for at-risk boys to a $135-million national organization touching the lives of over 50,000 children and families each year. Home Rental Services a 2016 Top Company To Watch in Thinking Bigger Business Special Edition!